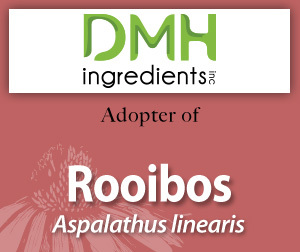 Please enjoy this information on rooibos made available through the generosity of DMH Ingredients' adoption. Aspalathus linearis (family Fabaceae) is a South African shrub from whose leaves a tea (infusion) is made that is high in antioxidants, and has low tannin content and no caffeine. It may protect against stroke, heart disease, and cancer. Rooibos Tea: Research into Antioxidant and Antimutagenic Properties. 2003;59:34-45. 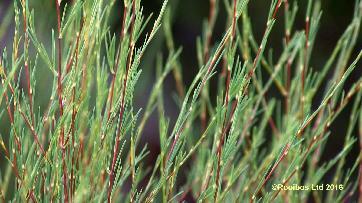 Rooibos May Be Beneficial in the Prevention of Cardiovascular Disease. HC# 111062-420, 3/15/2011. Rooibos Tea Consumption Acutely Increases Plasma Antioxidant Capacity in Healthy Subjects. HC # 091062-417, 1/31/2011. Comprehensive Review of Rooibos. HC# 100331-251, 2/27/2004.